Most users all need a video editor with simple operation steps and powerful functions. idoo Video Editor is a good video editing software for Windows 7/8/10. It’s small in size. For new users, it’s very easy to learn how to use it. It supports lossless video editing. Besides, it excels in video format conversion for almost all the formats. It can even convert format for video depending on the special kind of mobile device. It’s also a good video editing software for YouTube. After conversion, idoo Video Editor can output the video with great speed. In a word, it can help you to complete your video editing in a super-quick and precise way. Cut and joint any video or audio while making advanced settings according to your own needs. You can easily and exactly split the video and audio into parts as you need: by the file size, by different or average span. Add special effects to your video by adjusting the brightness, contrast and saturation, which make your video clearer, fuller and more beautiful. You can rotate your video picture by any angles (90/180/270 degrees). You can watermark your video with any characters and images. Add the subtitles for your videos with advanced settings and special effects. Everyone's a winner in this giveaway and what I'm giving is a software that lets you edit your videos. idoo Video Editor is a software that is very easy to use even if you’re not a professional video editor. idoo Video Editor Pro licenses are currently selling for $49.00 USD but I'm giving them out free to anyone who would like to have it. I'm giving away 30 licenses (first come first serve) until all are requested so if you would like to be included in this giveaway just reply below. If possible please share on social media so others can take advantage of this giveaway. Note: Licenses will be sent private message. idoo Video Editor is a good video editing software and I would like to try it since it is easy to use. idoo Video Editor is a good video editing software for Windows and great for Youtube because of it's compact size and ease of use. It excels in video format conversion for almost all the formats. Count me in! 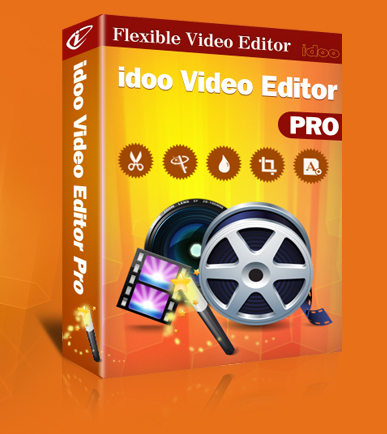 idoo Video Editor Pro is a convenient video editing program with many features. I'd like to receive a license, thanks.